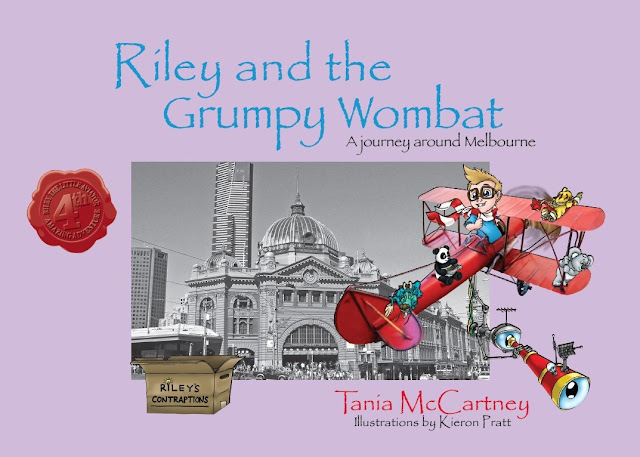 Right now I'm working busily on a major blog tour for Riley and the Grumpy Wombat - I've been so delighted and grateful for the tireless support of so many amazing people, who have welcomed my tour with open arms. I'm in the final stages of finalising the schedule, then there's lot of writing to be done! Check back for the full blog tour schedule soon. I've also received my Book Week school visit schedule from the Children's Book Council - let's just say I'm booked out! So so exciting to be able to visit all these kids and share my Riley journey; it's such a thrill, and I so love reading to kids. Hope you've had a wonderful week - Ella's teensy little party this weekend; will post photos!